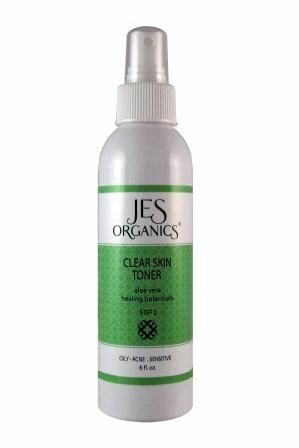 The powerful antioxidants, toning DMAE and clarifying Organic White Willow Bark in this formula can help renew, rejuvenate and smooth acne skin. 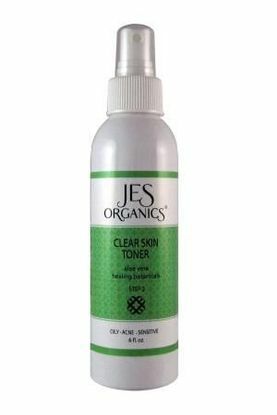 Toners help the skin by balancing the pH, minimizing the look of pores, removing residuals missed during cleansing and preparing the skin to receive our serums and moisturizers. Choice of 4 oz. or 6 oz. One of the key ingredients-Potassium Azelaoyl Diglycinate is derived from Azelaic Acid, a known acne fighter. Azelaic Acid has anti-acne and bleaching properties, and to a lesser extent, it serves as a treatment for Rosacea. It acts as an antibacterial and keratolytic, returning any skin abnormalities back to normal. It produces radiant youthful looking skin. Acne is an internal (systemic) and an external issue. Many diseases start in the gut. Often the gut flora is out of balance with more bad bacteria than good bacteria. It is important when treating acne especially those with moderate-severe acne to treat the gut while treating the skin. We recommend using Researched Nutritionals CoreBiotic which contains a very potent blend of both Pre & Probiotics and Metagenics PhytoMulti a powerful blend of nutrients and polyphenols. Treating both the internal and external issues of acne will provide the best success short and long term. Directions: After cleansing morning and night, spray on the face, neck, and decollete area (with eyes closed). 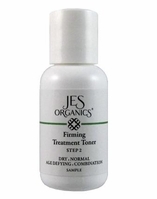 For best results follow the JES Organics complete skin care program. Organic Aloe Leaf Juice, Rose Flower Water, Potassium Azeloyl Diglycinate, Glycerin, DMAE Bitartrate, Organic Sugar Cane Extract, Organic Bilberry Fruit Extract, Organic Sugar Maple Extract, Organic Orange Peel Extract, Organic Lemon Peel Extract, Organic Cranberry Fruit Extract, Organic White Willow Bark Extract, Tea Tree Leaf Oil, Polysorbate 20, Phenoxyethanol, Organic alcohol,Tetrasodium Glutamate Diacetate, doterra OnGuard essential oil blend (Wild Orange Peel, Clove Bud, Cinnamon Leaf, Cinnamon Bark, Eucalyptus Leaf, and Rosemary Leaf/Flower essential oils.